Our guide to Phoenix will help you find the best green spots in Phoenix Arizona. The nickname 'Valley of the Sun,' is so appropriate -- the area gets more than 325 days of sun a year! And with gorgeous mountain vistas, an astounding choice of resorts, fabulous restaurants, and world-class golfing and spa options, it's no wonder Phoenix attracts vacationers from all over the country. There are tons of great green spots in the city of Phoenix, our city guide will help you find the best green spots. You may have a hard time deciding what to do in Phoenix, but we make your decision easy. 1202 S 7th Ave, (480) 557-9970 - Central City South Farmers Market is a green farmers market located in Phoenix AZ. 12415 N Tatum Blvd, (602) 971-4177 - Sprouts Farmers Market is a green farmers market located in Phoenix AZ. 1700 N 14th St, (602) 257-1222 - Russell County Farmers Market is a green farmers market located in Phoenix AZ. 2021 E Camelback Rd, (602) 710-2122 - Town & Country Farmers Market is a green farmers market located in Phoenix AZ. 245 E Bell Rd, (602) 218-4949 - Sunflower Farmer's Market is a green farmers market located in Phoenix AZ. 2824 E Indian School Rd, (602) 553-3131 - Sprouts Farmers Market is a green farmers market located in Phoenix AZ. 3501 E Cactus Rd, (602) 262-6696 - Roadrunner Park Farmers Market is a green farmers market located in Phoenix AZ. 3930 E Camelback Rd, (602) 224-0225 - Phoenix Camelback Market is a green farmers market located in Phoenix AZ. 4211 N 43rd Ave, (623) 934-5331 - Westside Food Bank is a green farmers market located in Phoenix AZ. 4700 E Warner Rd, (480) 732-1012 - Ahwatukee Farmers Market is a green farmers market located in Phoenix AZ. 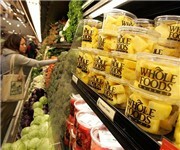 4703 W Brill St, (602) 324-1600 - Sunflower Farmers Market Distributor is a green farmers market located in Phoenix AZ. 4825 N 27th Ave, (602) 246-0895 - Best Farmers Market is a green farmers market located in Phoenix AZ. 6106 S 32nd St, (602) 276-6360 - Farm at South Mountain is a green farmers market located in Phoenix AZ. 721 S Central Ave, (602) 254-1799 - Downtown Phoenix Public Market is a green farmers market located in Phoenix AZ. 8040 N 19th Ave, (602) 864-6130 - Sprouts Farmers Markets is a green farmers market located in Phoenix AZ. E Washington St & S 17th St, (602) 468-0700 - Wesley Bolin Plaza Farmers Market is a green farmers market located in Phoenix AZ. N 7th St & E Monroe St, (602) 262-5029 - Heritage Square Farmers Market is a green farmers market located in Phoenix AZ. 1660 E Camelback Rd, (602) 274-4455 - Chipotle Mexican Grill is a green restaurant located in Phoenix AZ. 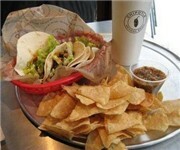 2415 E Baseline Rd, (602) 283-9500 - Chipotle Mexican Grill is a green restaurant located in Phoenix AZ. 2470 W Happy Valley Rd, (623) 215-0900 - Chipotle Mexican Grill is a green restaurant located in Phoenix AZ. 3039 W Peoria Ave, (602) 944-5060 - Chipotle Mexican Grill is a green restaurant located in Phoenix AZ. 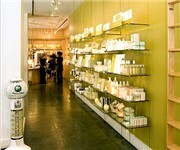 3515 W Union Hills Dr, (602) 978-0393 - Loving Hut is a green restaurant located in Phoenix AZ. 4423 E Thomas Rd, (602) 522-2394 - Chipotle Mexican Grill is a green restaurant located in Phoenix AZ. 1020 N 1st Ave, (602) 354-8150 - The Fair Trade Cafe & Gallery supports sustainable economic independence and fair trade for communities locally and across the globe. 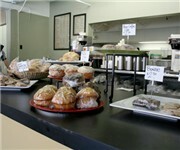 2502 E Camelback Rd, (602) 957-1779 - Teavana is a green coffeeshop / cafe located in Phoenix AZ. 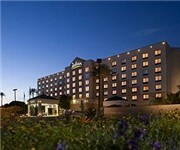 3333 E University Dr, (602) 437-8400 - Radisson-Phoenix Airport is a green hotel / motel / resort located in Phoenix AZ. There are plenty more green spots in Phoenix. See all green spots in Phoenix Arizona.